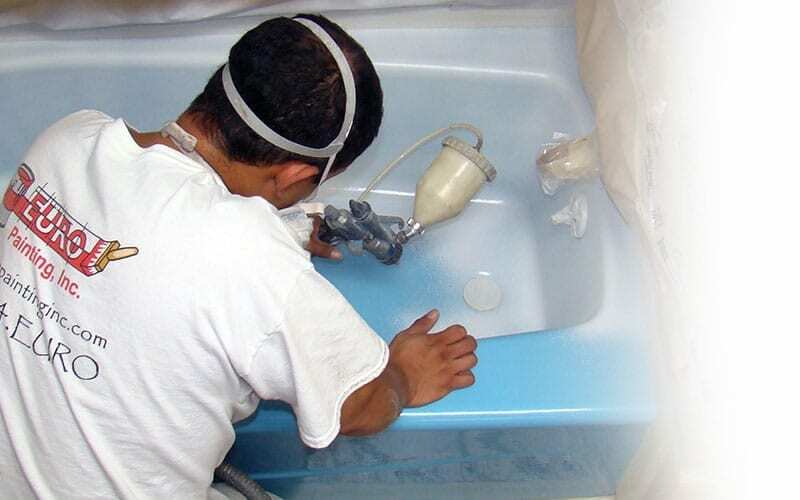 Jet Tub Custom Color • Unique Stone Resurfacing in Albuquerque, NM. 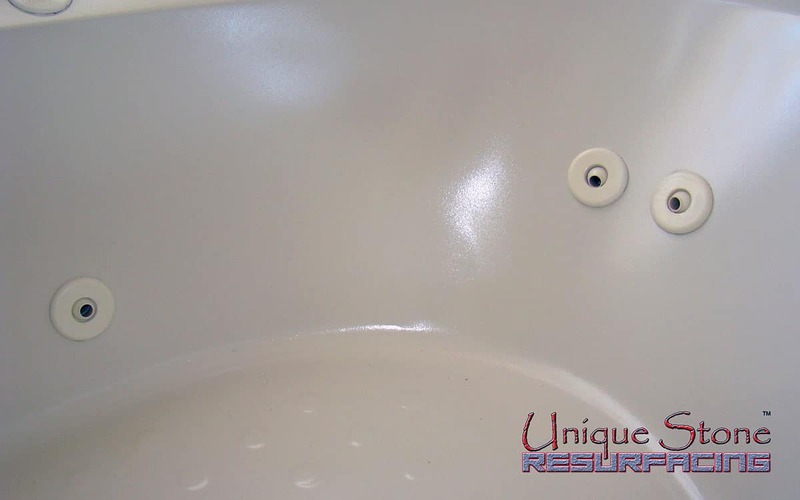 No need to replace your big comfortable jet tub just because it is showing its age a bit. Our techs will meticulously mask every jet and piece of hardware to ensure complete coverage, every time. Don’t throw the baby out with the yellow bathtub! 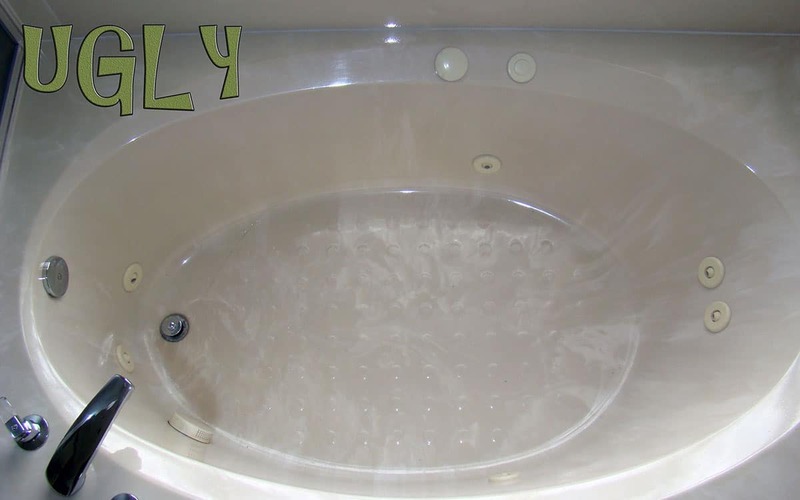 If your jet tub is still in good condition but has dirt and discoloration that just won’t come off, no matter how hard you scrub, call us today! 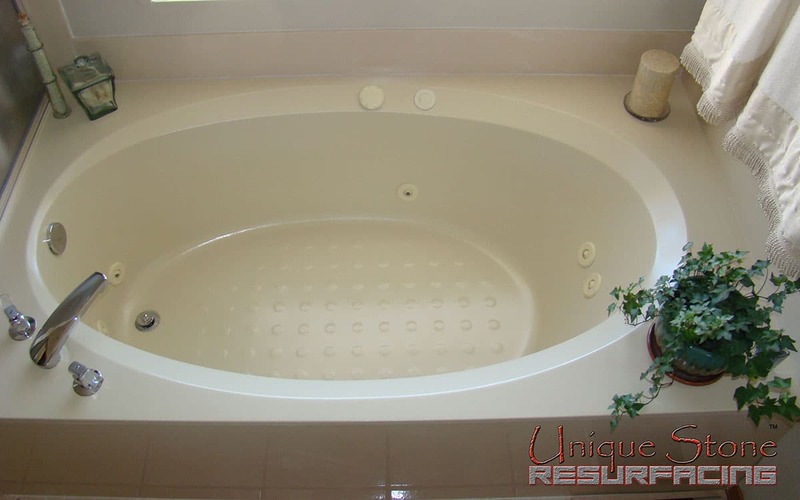 We will salvage that bathtub, saving you loads of money, leaving you with a tub that looks and feels brand new. 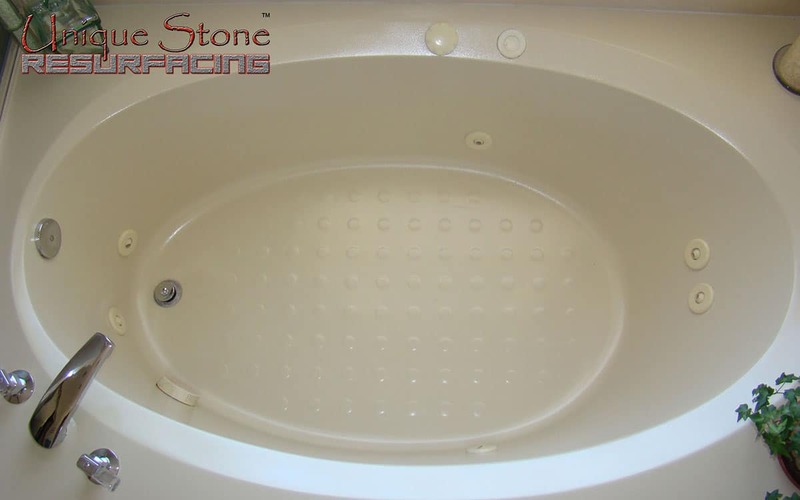 Our porcelain bathtub product is a true modern day marvel. 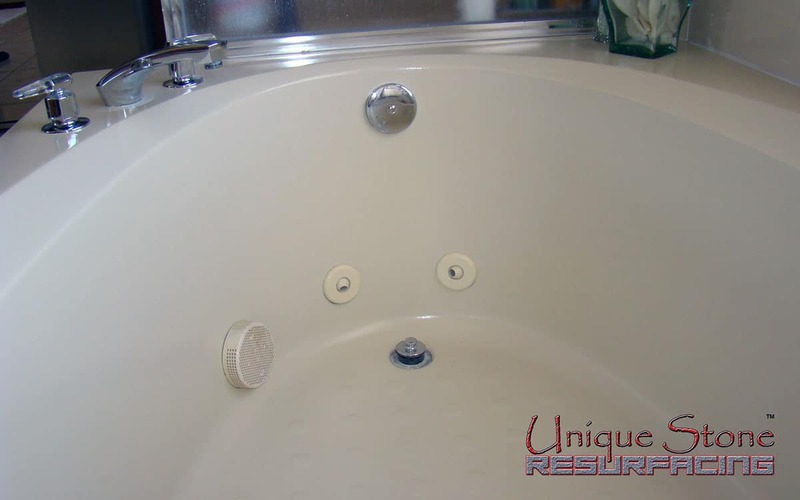 How we get the same luster as a brand new bathtub can only be answered by science. 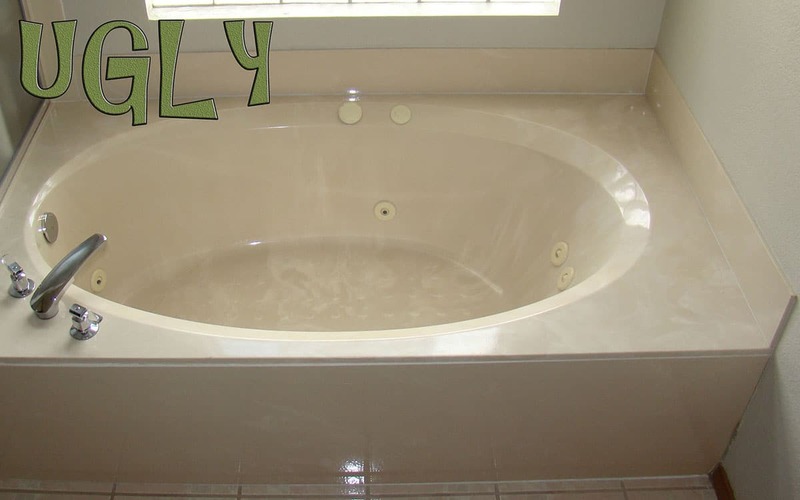 All you really need to know is the future of your bathtub is so bright you will need to wear shades!